After the successful Wishmaster 3rd album in 2000, the Wishes From Eternity - Live DVD, one of the best Metal DVDs around (concert also released on CD), and two make-money compilations / extra materials CDs (Wishmastour 2000 and Over the Hills And Far Away), here we have a new attack from Tarja and mates. The saying 'Don't Change A Winning Team' is here perfectly applied: same studios, same engineer, same producer... and same success. This album already went platinum (30,000) in Finland in only 2 weeks. The new bass player, Marco Hietala (ex-Sinergy), is responsible for the male vocals in some songs, adding some contrast to the angelical Tarja's voice. Bless The Child is a mid-tempo orchestral composition, End Of All Hope is like a Wishmaster Part 2, Dead To The World with both male and female vocals sounds as a heavier Lacuna Coil. 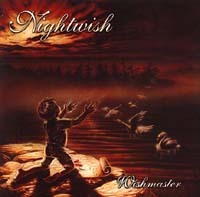 Ever Dream is a standard Nightwish and the aggressive Slaying The Dreamer anticipates the slowest song Forever Yours. Ocean Soul shows Tarja at its best and another standard Feel For You precedes a very special and exquisite version of The Phantom Of The Opera (no, not Iron Maiden, but the theatrical A. Lloyd Webber). The album ends quite well with the three parts of Beauty Of The Beast. Globally, it's a great album, the guitar is sometimes more aggressive, but the overall result is less heavier than Wishmaster. The male vocals also fit quite well. Let's now see how many intermediate works are we going to see before the next studio album. After the success of Oceanborn and last years tour the expectations been high. Did the band manage to top the last album? Yes, they did. The Finnish offer a variety of songs which are in their own style. 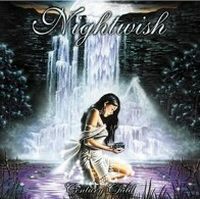 Again Tarja's voice is kind of a trademark for Nightwish. Personally I miss the emotionality of Tarja's voice, but that's just my opinion. Musically they got a lot stronger and partly faster... Listen to it!